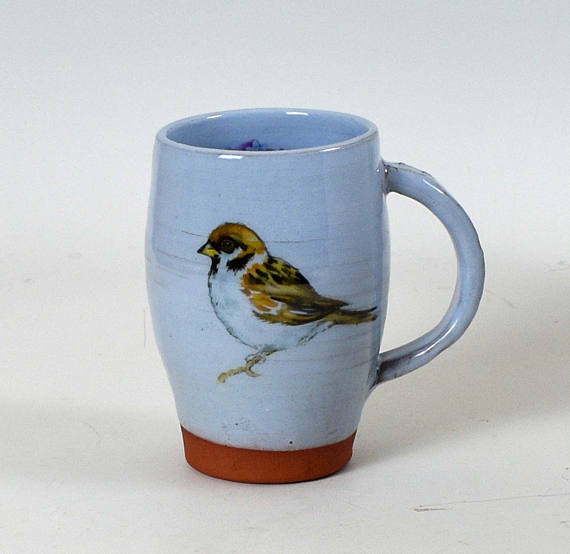 A fantastic gift for a bird lover! 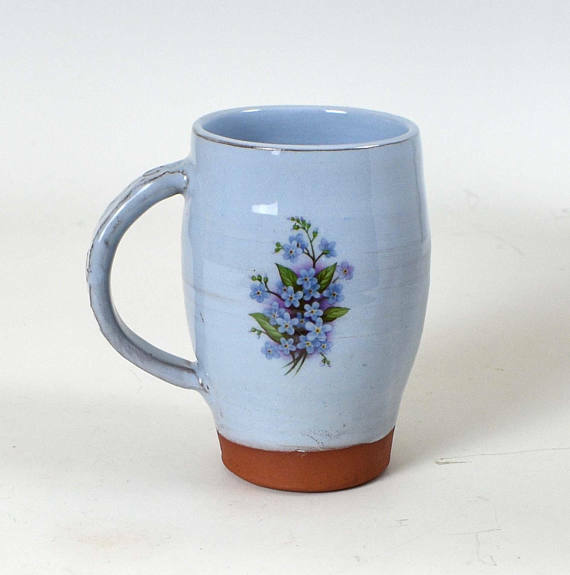 This handmade blue terracotta mug features a sparrow on one side and forget-me-nots on the other side and on the inside, adding an unusual finishing touch. 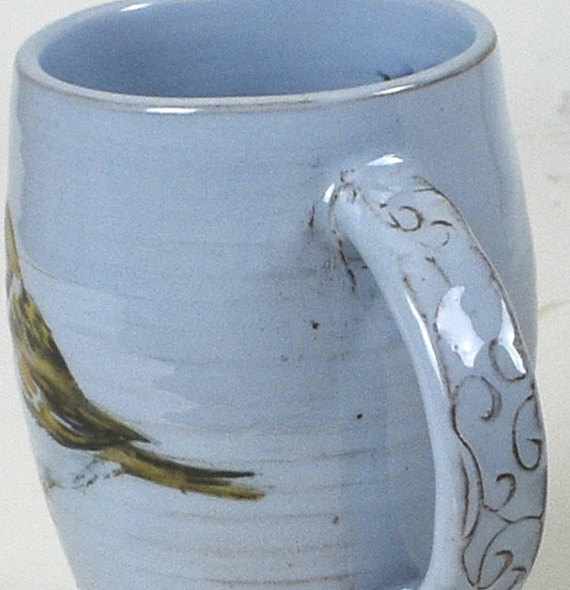 The sparrow is one of the most popular of British garden birds.